This coin sorter sorts up to 20 coins at a time. Press the button and watch the coins being sorted and stacked into the corresponding tubes. Compatible with the new pound coin! Makes coin sorting quick and easy. 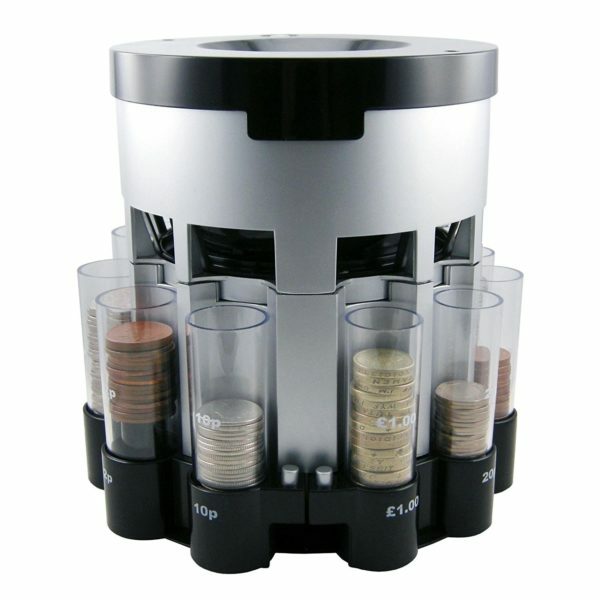 Organises change into individual cylinders. Sorts and stacks coins ready to deliver to the bank.